Home / Gapwork.com Latest News & Blog / Why Teach English Abroad? If you are considering going abroad and are not sure of the type of gap work that you would like to be involved with then have you considered teaching English abroad? Have a think and see whether you can you imagine yourself living abroad and teaching English Europe or teaching in language schools in the USA, for example. Regardless of which continent and country you want to visit, the opportunity to teach English will more than likely be an option open to you. This is because more and more people around the world are learning and speaking English which means the demand for English teachers is increasing daily. This therefore gives gap work travellers of all ages the opportunity to teach English – and it doesn’t matter if the last time you were in the classroom was at school as you can go into English Language Teaching (ELT) regardless of your skills and career background. 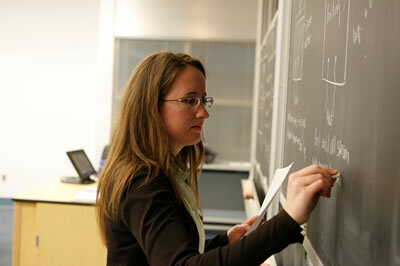 To gain an ELT qualification you can be trained to teach in as little as 4 weeks. You can also take a taster course over a weekend to see if you are up to the job, take the course part-time or even train yourself at home over the internet to get the qualification. There is no age limit for English teachers, and there are many people who have taken up teaching in later life. Experience, and especially business experience, is highly valued by many employers. If you choose to study for the ELT qualification at a language school or training centre there are many well-equipped and highly respected ones in the UK but you could be even more adventurous and take one of the many courses that are on offer abroad. Some courses are very theoretical, with the amount of practical teaching kept to a minimum, while many of the courses abroad will throw you straight into the deep end with a class (where you’ll find yourself standing front of real live foreign students!) almost immediately. This can help you conquer your nerves and prepare you for your teaching later. Every course is different, so find out about the course content before you apply. Whatever course you take, your language teaching skills will open up employment opportunities for you around the world. It will take you further, both in terms of air miles and experience, than probably any other qualification you’ll ever gain, and you should see any initial cost at the start of your training as an investment in your future. Remember, as a native speaker of English you already have the single most important skill that will help you to live and work in almost any country in the world, giving you the chance to get to know the people and cultures of different countries in a way that tourists just can’t. So whether you’ve got itchy feet, an urge to take a year out before university or you just don’t fancy cold English winters anymore, then ELT abroad could be for you.